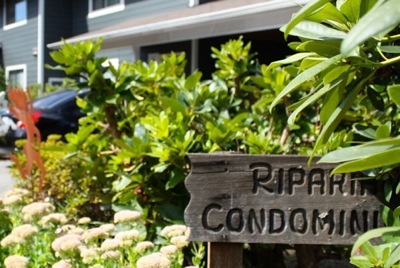 The Riparian Homeowners Association is a six town home community located near the center of scenic Issaquah. Built in 1979, all homes are two-bedrooms and one and one-half bathrooms. While the size of each home varies slightly, they’re all approximately 1,080 square feet. Homeowners’ dues include water, sewer, and garbage as well as standard responsibilities such as exterior building maintenance, landscaping, association taxes, insurance, and management. Centrally located blocks from historic downtown Issaquah, enjoy an easy walk to restaurants, bars, and the Village Theater. Easy access to I-90.